CS5 brings quantifiable efficiency to users (see just-released benchmarks) through its optimi­zation for the latest hardware and operating systems and its focus on reducing common prod­uction tasks from days to hours and from hours to a few mouse clicks. For example, CS5 users can work up to 10X faster with large Photoshop images, get jaw-dropping video-editing speed, and perform numerous work­flow-specific production tasks in a fraction of the time. CS5 introduces rich new creativity features for print, web, interactive, mobile, and video professionals to produce compelling content and stories that make brands stand out in a crowded marketplace. For example, companies can incorporate cutting-edge 3D objects and motion graphics into their creative thanks to new Repoussé technology in Adobe Photoshop CS5 Extended. CS5 helps you capitalize on the pervasiveness of the Flash platform and the latest digital publishing trends to better reach, retain, and deliver value to customers wherever they are. For example, CS5 enables you to prepare content for the latest mobile devices such as the Apple iPad, Google Android, RIM Blackberry, Amazon Kindle, Sony eBook Reader, and Barnes & Noble nook. CS5 introduces integration with Omniture web analytics for closely tracking ROI and fine-tun­ing the spend in an enterprise digital strategy. Current Omniture customer can adopt CS5 to streamline and control costs in A/B testing and allow designers and developers to instrument Flash content directly within their creative workflows without manual tagging. And long-term CS users can add Omniture analytics to an effective digital strategy (requires separate investment in Omniture tools as well as in CS5). Only Adobe CS5 offers comprehensive, industry-leading tools for print, web, interactive, mo­bile, video, and application development – all of the touchpoints in an effective digital strategy. The tight integration among these tools enables teams to share assets and collaborate more effectively across disciplines. 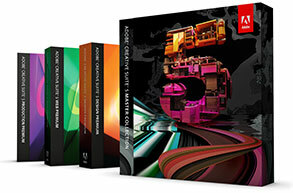 Adobe CS5 continues Adobe’s long history of innovative solutions that address pressing business needs. For over a dozen more reasons to upgrade, see this page. Adobe Captivate 5 and eLearning Suite 2 are Now Shipping When is Adobe Acrobat 10 Coming Out, and What’s New?